There are so many photographers out there that you can choose from, however you won’t just get a person who shows up and clicks her camera. With me you’ll get a stylist to help you throughout your entire process, from colors to flowers to dress styles and design, you will get a coordinator of all people (including those in-laws that have a hard time listening) you will get a confident photographer with years of experience not just with weddings, but with people in general. In the end you will get a person who started off as just your photographer who will quickly become your friend. You will receive a complimentary engagement session. This session is a dress rehearsal for the big day. I want to watch the way you work together and the way you work with me. It will give me a chance to get to know the two of you together as a couple. You will get a quick turn around time! Within the first week you will receive a sneak peek of your incredible day. The rest of your digital album will be complete within 6 weeks of your wedding. From there we will together design your album and once approved will go into production. It’s not easy planning a wedding and sometimes it can feel quite overwhelming. With all of the experience I have accumulated over the last 10 years I can help you with, timelines, venders and any other questions you might have not photography related. I’m easily accessible and at your disposal. Your wedding day is as unique as you are. I believe your wedding page should be as well. You let me know what the most important parts of your day are and we can customize a package around that. My base price starts at $2000 and clients typically spend $2,800-$3,800 with me. Print Release so that you can print as many pictures as you would like. Advice on timeline, planning and locations. We can add on engagement shoots, multiple shooters and wedding albums, as well! You bet! Please make sure that all of your vendors are! It simply shows you that we take our business seriously and we take your wedding seriously. How do I start my booking process? 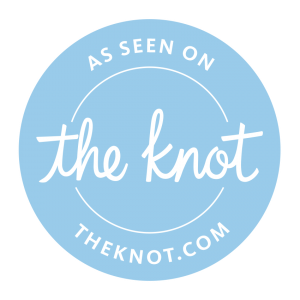 To start your booking process, click here (add link to contact form) Please make sure to fill out all the information so that I can give you an accurate quote for your wedding day. I change a $500 non refundable deposit to hold your wedding date. Everything will be taken care of online, from payments to contract signatures. Get excited!!! We will then plan your engagement session, clothing, location, everything! I can also help you with additional vender questions or anything else you need. Where do you live and do you travel? I live in Huntersville, NC. However I travel all over the Carolinas and the rest of the country. Want me to travel with you outside of the USA, I would be more than happy to! All my weddings include, a complimentary engagement session, 2nd shooter and digital files. On average my brides spend about $3,200 on their weddings with me. However every wedding is different so make sure you tell me exactly what you want and what your budget looks like. Honesty is the best policy and will help us get to the price that works for you! Absolutely! I have incredible professional printing companies that take care of all my album printing and all of my prints. It’s so important to make sure your prints are done professionally. You can order them and lots of other products right from the site I send you!